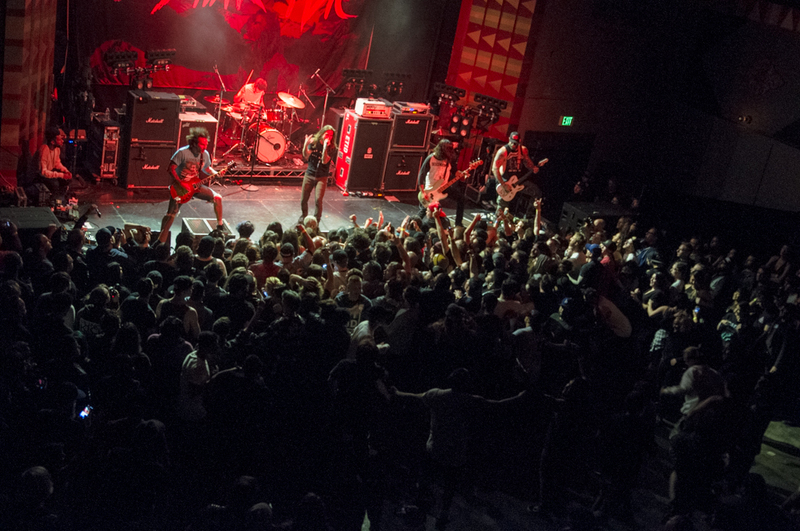 Metalcore veterans Every Time I Die dropped by The Regent Theater in support of their new album Low Teens, which they released in September. 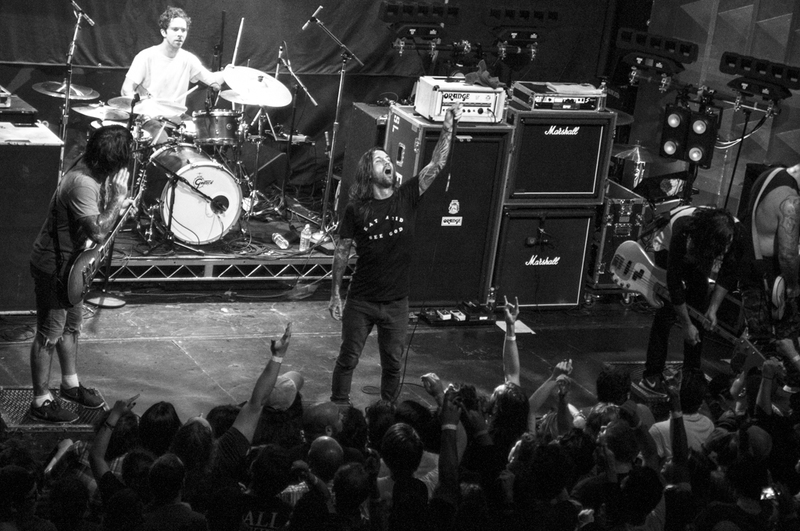 Despite their extensive résumé and massive fan base, ETID was actually not the headliner. 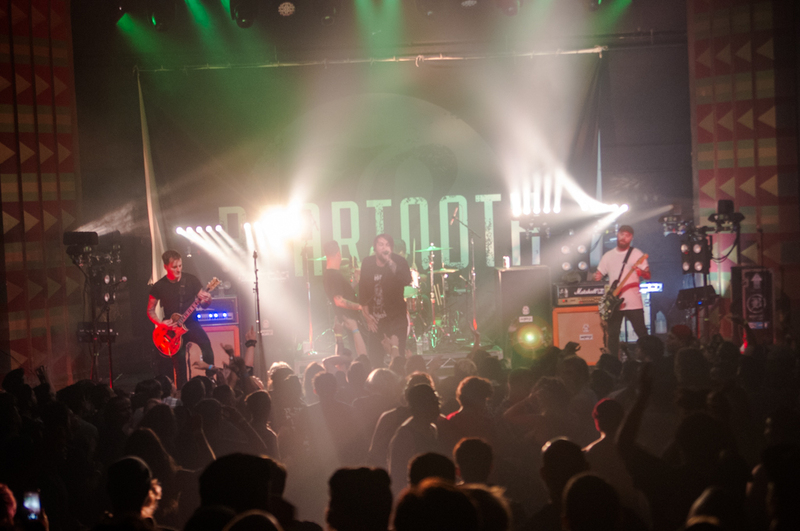 Instead, marquee duties were left to Columbus metalcore outfit Beartooth, whose disparate appeal was reflected dramatically throughout the course of the night. Opening sets came from Old Wounds and Fit for a King. 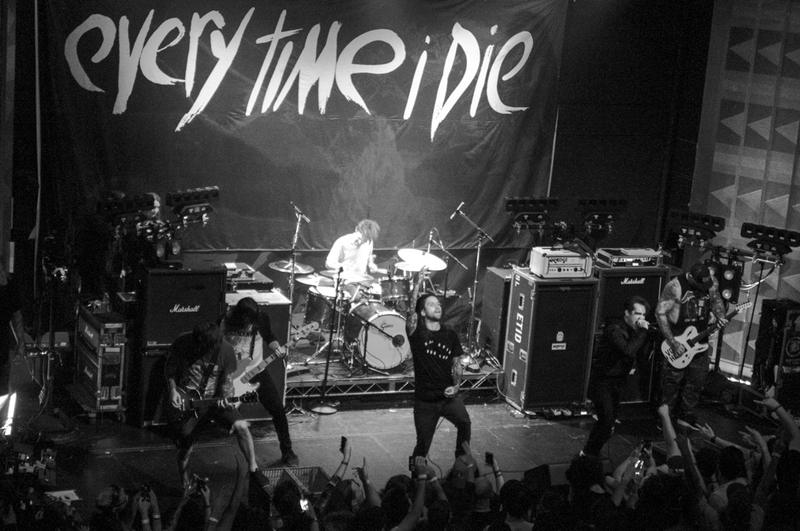 If you randomly showed up at The Regent without any knowledge of who was performing, there was a good chance you would have assumed that Every Time I Die was the headliner. 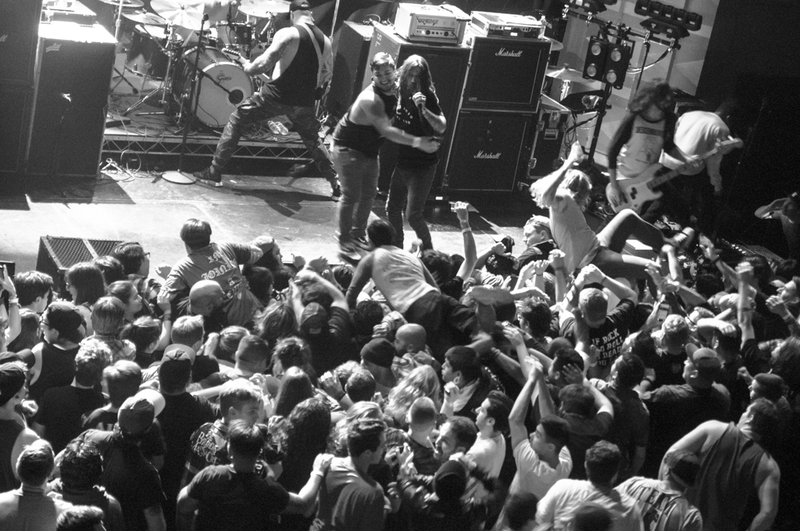 My own completely unscientific survey showed at least one in three attendees were donning ETID shirts, an overwhelming number that was highlighted in the massive pit that formed in front of the stage. 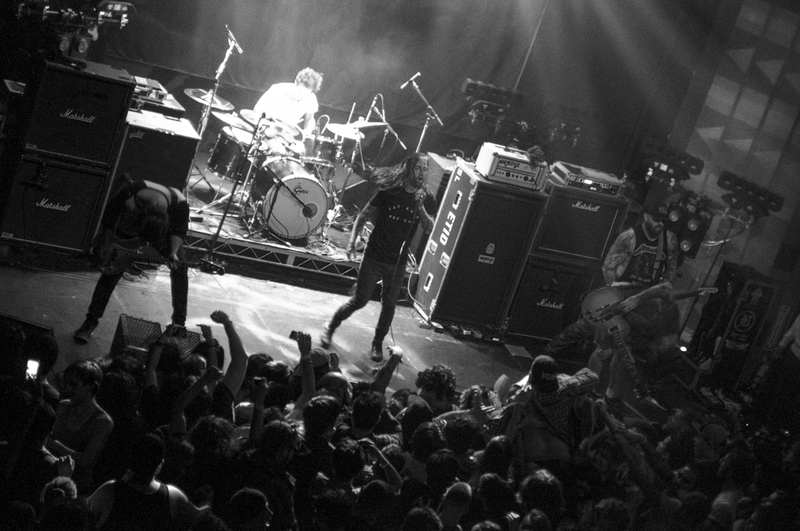 With the exception of ETID’s recent appearance on the Warped Tour, it’s been years since the Buffalo band last played in LA. And the excitement in the room was tangible as Keith Buckley (vocals), Jordan Buckley (guitar), Andy Williams (guitar), Stephen Micciche (bass) and Daniel Davison (drums) hit the stage around 8:30 p.m.
With nearly 20 years of material to dig through, the rambunctious five-piece wasted no time running through the hits during their 45-minute set. Classics like “Ebolarama” and “The New Black” were coupled with Lower Teens tracks like “The Coin Has a Say” and “It Remembers”, the latter of which featuring Panic! at the Disco vocalist Brendon Urie of Panic! at the Disco. It was a loud, fast and intense set that made fantastic use of The Regent’s lack of a barricade between the crowd and the stage. Fans stage dived non-stop throughout their performance in what made for an interesting night for those close enough to experience the wrath of it. 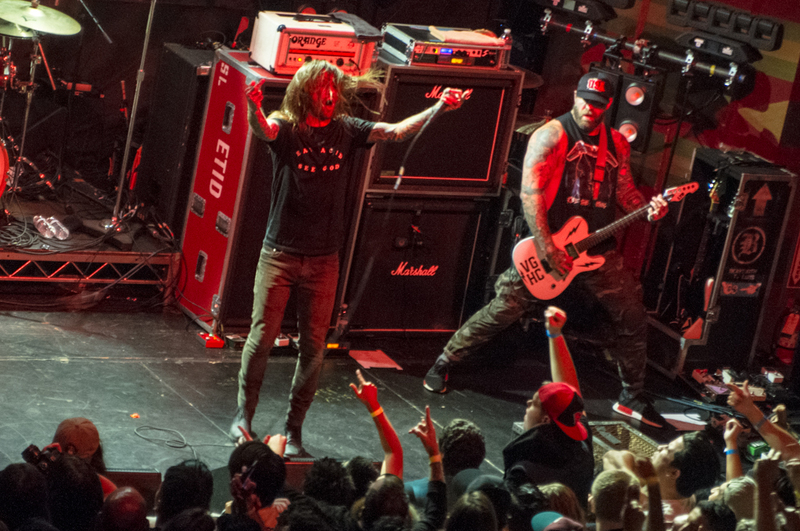 While ETID’s set was nothing short of phenomenal, no moment defined the night quite like the second they left the stage, which seemingly saw two-thirds of the entire crowd dissipate the floor and walk out the venue’s doors. 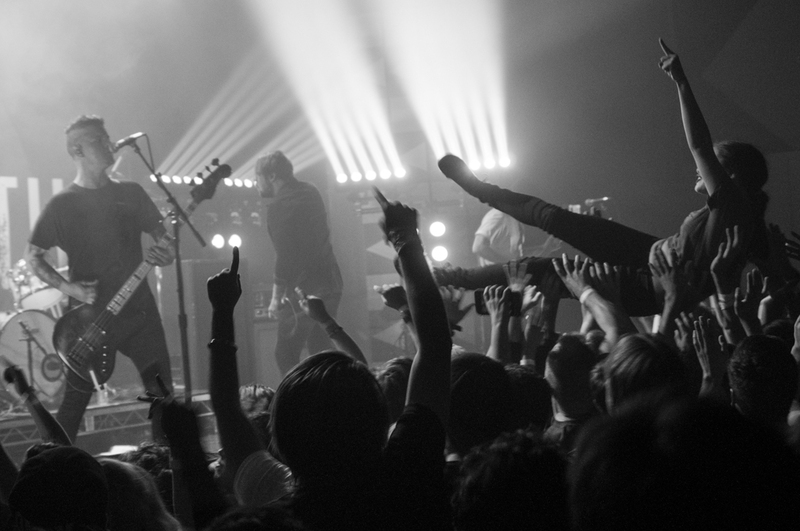 Needless to say, it was a different story for Beartooth. The collective age of the crowd was reduced at least 10 years, with many looking like they just came from band practice in high school. 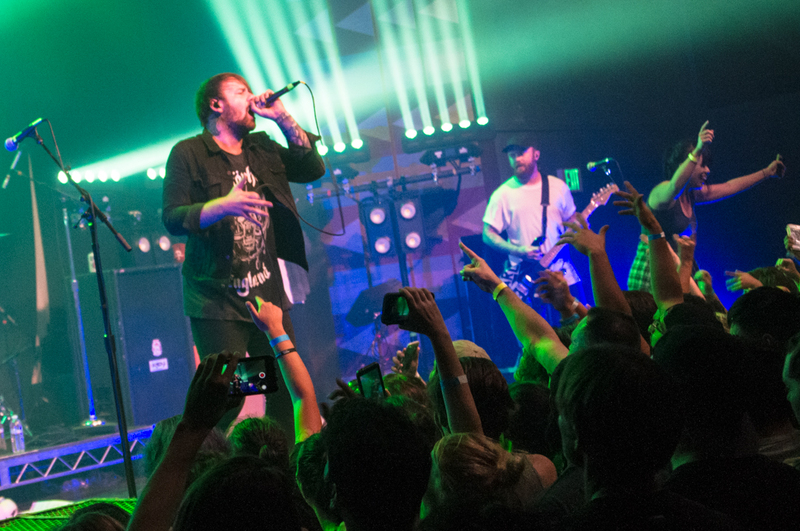 Beartooth’s set was polished, produced and worthy of being included in a Hot Topic playlist. 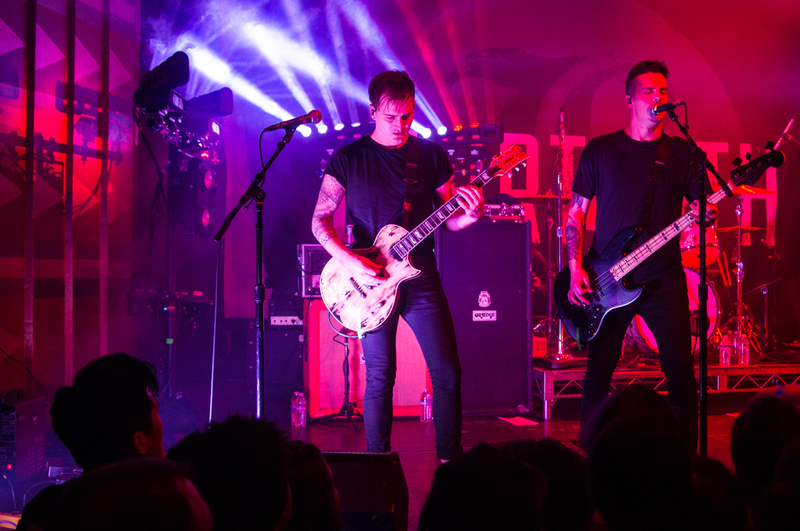 Fans appeared to dig it, though vocalist Caleb Shomo noticed a distinct drop-off in energy compared to ETID’s explosive show. 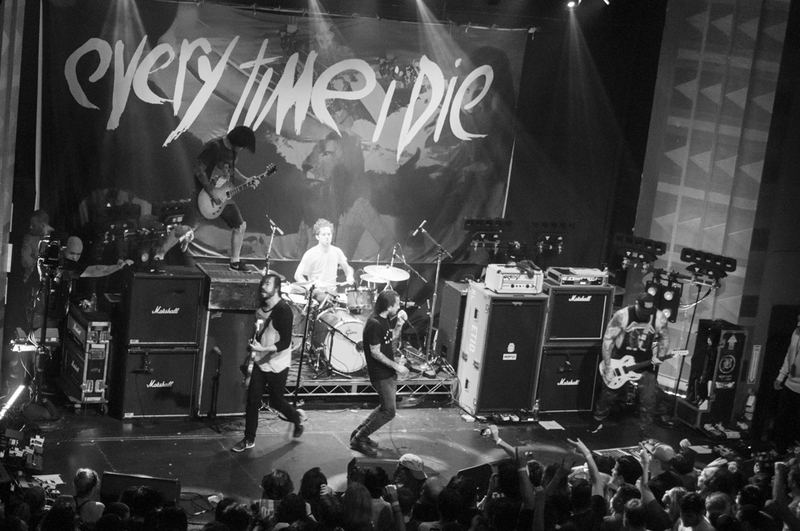 Given their huge following, it’s a head-scratcher why ETID decided to be on this tour. At any rate, we’re thrilled they’re still with us and amazed that their music continues to improve at an almost alarming rate. 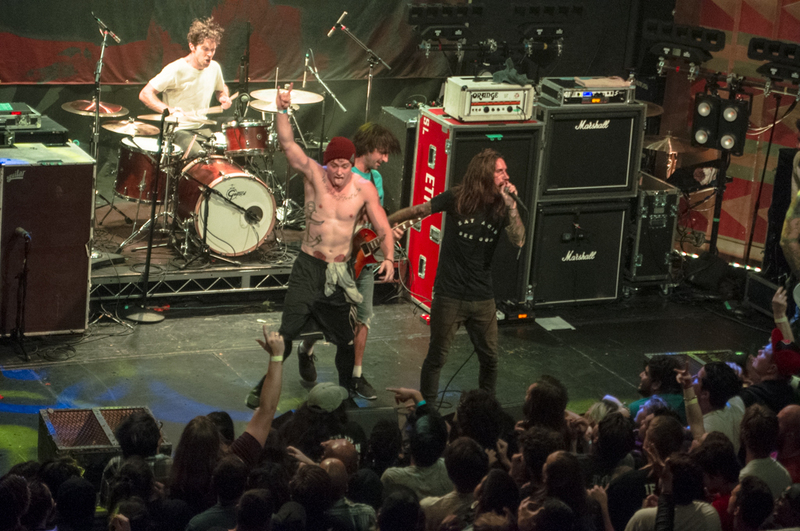 Let’s just hope for a headlining set next time.